UCLA faculty, staff and alumni have contributed musical works that are nominated for the 59th annual Grammy Awards on Feb. 12. Their talents, ranging from playing the saxophone to composing songs to performing in an opera, have been recognized with nominations in five different categories. Justo Almario’s roots in music started when he was 2 years old growing up in the country of Colombia. He dabbled in a variety of instruments until age 11, when his older brother showed him a recording of saxophonist Cannonball Adderley – at that moment, Almario said he knew music was the only path he wanted to go down. Almario, a multi-instrumentalist and jazz lecturer at the Herb Alpert School of Music, creates and records his own music with other jazz musicians, using jazz greats like Thelonious Monk for inspiration, he said. 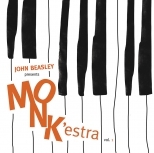 Last year, Almario played saxophone with pianist and composer John Beasley and his big band on the album “MONK’estra, Vol. 1,” which is currently nominated for a 2017 Grammy Award in the Best Large Jazz Ensemble Album category. Almario said the album was a way to appreciate Monk – whose would-be 100th birthday falls in 2017 – and experiment with new jazz sounds and musicians. Almario studied jazz in Boston at the Berklee School of Music after leaving Colombia at age 18. Upon graduating, he traveled to New York City, where Afro-Cuban Latin jazz percussionist Mongo Santamaria hired Almario to work in his band in 1971. Almario has been interested in playing music by Monk since his years in New York, he said. Paul Jeffrey, an original saxophonist member of the Thelonious Monk group in the 1970s, met Almario at a jazz club and asked him to play in his jazz octet consisting of a French horn, two saxophones, a trumpet, a trombone, a bass and drums. The octet played Monk’s songs such as “Monk’s Dream,” “Well You Needn’t” and “Monk’s Mood,” Almario said. Almario’s experience in the octet was important in shaping his respect for and understanding of Monk, he said. To Almario, playing Monk’s music allowed him to search for his own musical personality embodied in the compositions of Monk. “MONK’estra, Vol. 1” is inspired by the work of Monk. Beasley’s work on the album consists of Monk melodies he arranged and orchestrated, along with jazz works by Duke Ellington and Benny Golson. Beasley said he thinks Monk’s music is pliable, allowing him and other musicians to apply their own creativity over it. Beasley called Almario four years ago to rehearse the music for the album. It was not the first time Beasley and Almario had worked together – the two originally met when Almario moved to Los Angeles in 1979 and they kept in touch ever since, Beasley said. 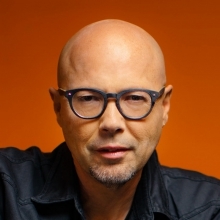 The 15-piece big band for the album was assembled by people Beasley hand-picked. Beasley chose Almario for his original sound as a musician, as well as for his dependability as a professional, he said. Another saxophonist Beasley chose to play in the band was Danny Janklow, who had not collaborated with Almario in the past. He enjoyed playing alongside Almario because of his joyous energy and passion for the music, Janklow said. “He brings the best out of everyone, whether it’s a huge performance or recording session or a serious gig,” Janklow said. For Janklow, having the album nominated this year for a Grammy is a beautiful sentiment in honoring Monk and his musical legacy. Almario hopes the Grammy Awards will showcase the oft-overshadowed jazz category as well as groups like MONK’estra more in the future to help others learn about jazz and the figures like Monk that the genre has produced. “Jazz needs to have a place of importance at the Grammys … Because a lot of the music in general, it comes from jazz,” Almario said.